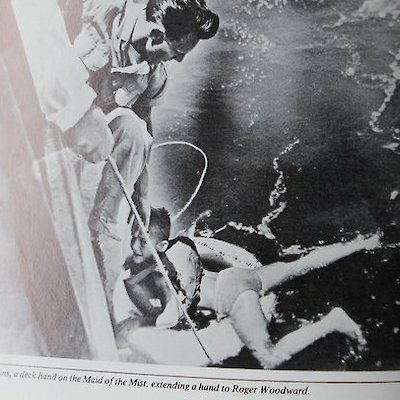 It was on July 9th, 1960 that a 7 year old boy by the name of Roger Woodward plummeted over the Canadian Horseshoe Falls wearing only a bathing suit and a lifejacket and survived. He was not being a daredevil and to this day gets upset when he is lumped into the section titled, “Daredevils of Niagara”. 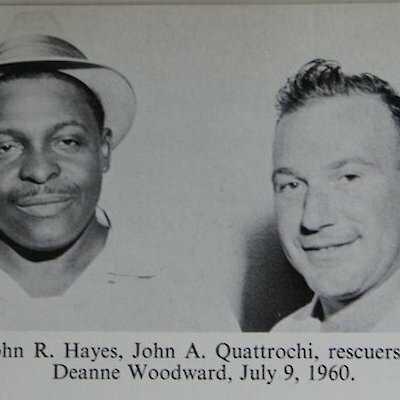 He was in a 12 foot aluminum boat with his sister, 17 year old Deanne and Jim Honeycutt sightseeing in the Niagara River above the falls. The motor on the boat gave out and the craft started to quickly flow towards the falls. The boat capsized a few metres above the falls. Jim Honeycutt went over the falls and lost his life, Deanne was miraculously rescued by two men who grabbed her from the upper Niagara River before she went over. 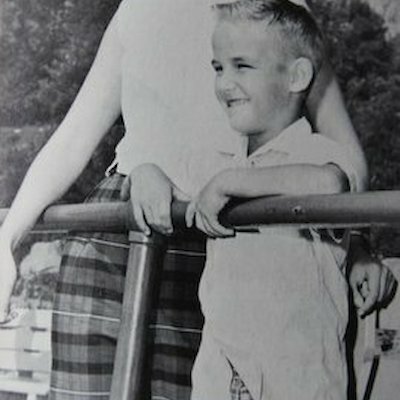 At the same time young Roger was thrown clear of the rocks below the falls and picked up by one of the Maid of the Mists hardly without a scratch. Today, locals refer to this as, “The Miracle at Niagara”. I have had the opportunity to meet Roger and his family a number of times when he visits Niagara Falls. He’s a very unpretentious man and you couldn’t meet a nicer family.